The Netherlands has a long history with gasoline cars. At the start of the 20th century we were one of the first to standardize the oil for cars so you could drive from apothecary to apothecary and everyone would sell you some bottles of oil that where compatible with your engine. Now we are the proud world leader in charging infrastructure for passenger cars. But charging infrastructure for heavy trucks is a different ballgame altogether as we will see in this final chapter. Our final result is shown in the chart: electric trucks will be our cheapest option in 2025. And whether you charge them with a network of fast chargers or overhead lines, the infrastructure cost are relatively low. So let’s find the political will to extend our increasingly clean electricity grid to cover road freight as well. Fossil fuels give us access to sunlight that was collected and stored hundreds of millions of years ago. Putting this condensed ancient sunlight in diesel trucks allows the truck to travel 1,500 kilometers without recharging. This present from mother earth has made it possible for us to decouple energy supply (sunlight) and energy use. But this decoupling comes at a price in terms of efficiency. We are depleting many fossil resources almost a million times as fast as they where created. This means the efficiency of turning sunlight into fossil fuel and then burning it is millions of times less efficient than using solar panels and charging an electric car directly. The picture illustrates the dominant conversion routes. Although inefficient in the grand scheme of things, the fossil route decoupled sunshine from driving very effectively. It even made it possible to drive all over Europe and give very little thought to where you could recharge. Unfortunately that is different with electric vehicles, but let’s see if it is really an insurmountable problem. The IEA assumes 100,000 km/year for long haul trucks. If the truck is used on working days that’s about 380 km a day. That actually means that a 400 km range would suffice on most days if overnight charging is available. Maybe this is another case of overblown range anxiety. A straightforward solution for many cases could be to have extra battery packs in your fleet of trucks to you can occasionally boost the range to say 500 or 600 km when the required distance is long and the cargo is not near the maximum judicial limit. Another option is that the places you visit have a charger. E.g. delivery locations like supermarkets or cargo hubs could charge the truck while it was being loaded or offloaded. 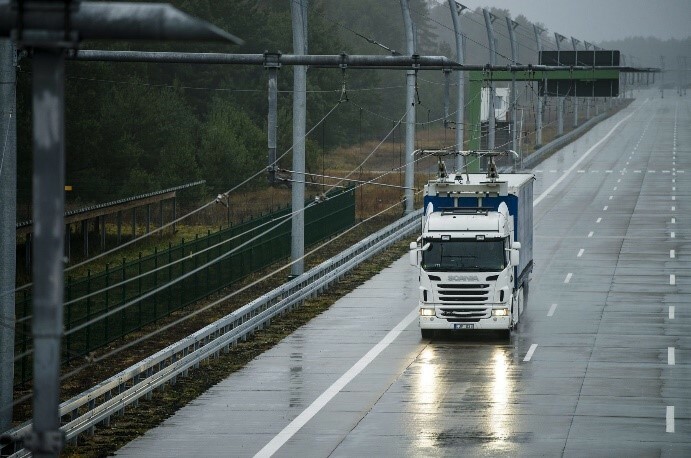 In many cases such locations already have a powerful grid connection and if charging the trucks would be outside of peak hours it might already be able to handle the extra load. Pricing this solution is hard because it heavily depends on the situation. Whether it is a sufficient solution depends on the driving pattern. I’ll throw in the towel for now and focus on the next two alternative charging solutions. To many people this is the most straightforward solution: simply replace gas stations with fast chargers. In the EU, truck drivers must take a 45 minute break every time they have driven 4.5 hours. So they could use the fast chargers while they rest. 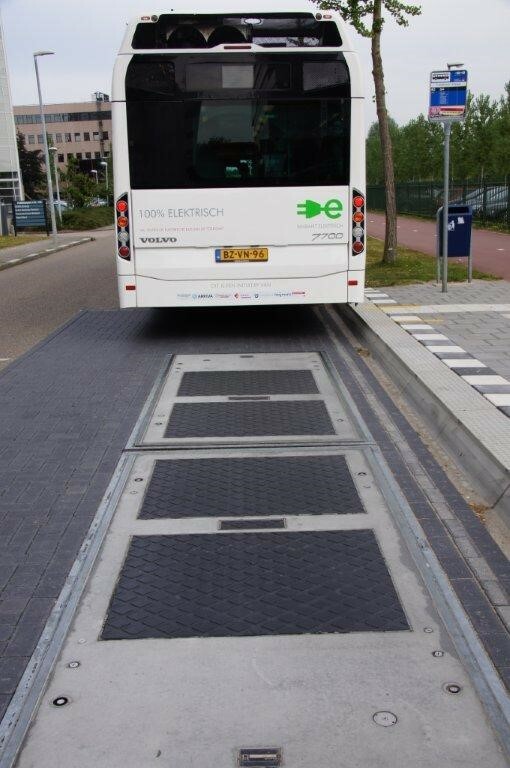 An easy way to do that would be with a pantograph or with an inductive pad to a charge below ground, using systems currently used for electric busses. The required power is nothing to sneeze at. To recharge a range of 400 km on a truck that uses 1.5 kWh/km requires 600 kWh of energy. If you want to recharge in 30 minutes you need a 1.2 MW fast charger (and possible a row of them). For comparison: the average household has a peak power of 10kW. So every fast charging slot would need a connection comparable to a hundred households. Still that is far from impossible: power lines that can service thousands or even hundreds of thousands of households have become common in developed countries. Someone in the smart charging business pointed out to me that most sessions would be less than 450 kW and would last 45 minutes. Using smart load balancing, 600 kW per docking location would be enough. That would make the business even better. Would there be a business case for that? Sources in the know tell be that fast chargers cost around USD 350 per kW now and will cost around USD 290/kW in 2025. That’s around USD 300,000 for a 1.2 MW charger. If we include the pantograph etc. it could be USD 350,000. Let’s assume that the slot lasts 15 years. That’s USD 23,000 per year or about USD 65 per day. Add a grid connection and some maintenance and capital cost and make it USD 100 per day. How many 30 minute visits would such a slot get per day? The maximum is 48 (2 x 24) but let’s a assume a fast charging slot would be occupied 20% of the time. That’s about 10 visits a day. That would mean USD 10 per charging session. Since a charging session was 600 kWh that would be USD 0.017/kWh for the infrastructure. Assuming 1.5 kWh/km that becomes USD 0.025/km. Let’s take a somewhat safe margin of between USD 0.02 and USD 0.05 per km. So adding fast charging actually increases the advantage of the fully electric truck. 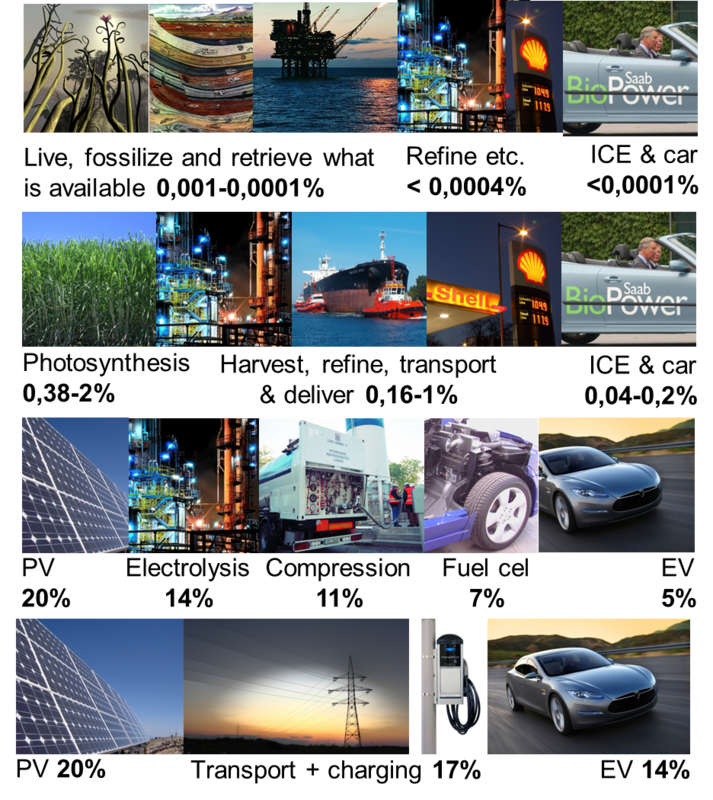 Electrified road systems: the ultimate solution? What if there as a way to charge while driving? Actually it’s not so hard to imagine because we have been doing this for a long time. This is how trains, trams and trolley busses get around. And nowadays there is even talk of doing this using wireless charging through the road (so without unsightly overhead lines). 1. The truck will drive electric 80% of the time and on diesel 20% of the time. But why would you want to incur all the extra production, maintenance and energy costs if you can already drive electric 80% of the time. Why not give the car a battery that let it travel independently while not charging electrically? In our scenario we keep the battery costs of the 400 km extra range. We will just replace the infrastructure costs of fast charging with the infrastructure costs of the electrified road system (ERS). 2. The infrastructure is depreciated in 5 or 6 years (ii). This seems like an oversight or hard to explain bias. Common depreciation periods for these types of infrastructures range from 30 to 60 years. We will put the depreciation period at 20 years as a compromise. With a cost of USD 1 million per km (the higher cost in the IEA report) the cost per kilometer per year would be USD 50,000. 3. The amount of vehicles is estimated at 0-30 trucks per hour in 2015 and 30-160 trucks in 2050. That actually seems pretty conservative because the estimates the IEA uses actually come from a study that dimensions the lanes for 250 trucks/hour (page 97) and many lanes on EU roads have a much higher average usage. Still, let’s keep that. That means a km of overhead wire will dispense an astonishing 0.4 to 2 million kWh per year. I foresee a scenario where the truck is serviced by destination chargers, fast chargers and ERS and where ERS will be used for the busiest highways on out of sight trajectories. 4. The truck cannot charge faster than it uses energy. This is probably a lack of imagination. Most studies I have reviewed assume that you would use overhead lines on 50% or even 25% of the distance. An example: assume a trip from Rotterdam to Hamburg of 500 km. The first 50 km to leave Rotterdam would be without overhead wire (using destination charging or charge left from when the truck arrived). Then 50 km of overhead wires to top the truck up. Then 150 km without overhead wires (but no problem for the 400 km batteries), then 50 km to top the battery up again. Et cetera. Let’s assume this way the investments would be much lower and difficult pieces of highway (complex intersections, crowded areas) could be avoided. If we assume a coverage of 1/3 it increases the number of kWh per to kilometer to between 1.2 and 6 million. If we make those adjustments, ERS is actually astonishingly cheap. It could even be cheaper than our already cheap fast chargers. But let’s keep it simple and stay safe. Of course this assumes some economies of scale so it would be helpful if government would step in to create a scenario that assures enough supply and demand, analogous to how roads, railways, electricity grids and other infrastructure was created. So let’s do a little thought experiment. There is about 75,000 km of highway in the EU (and also in the US by the way). If we electrify all the highways in Europe (covering one third of the highway, see point 4 above) it would only cost us 1.25 billion dollar per year. That is 0.01% of EU GDP. Furthermore the project would need no subsidies, just political will to get it done. 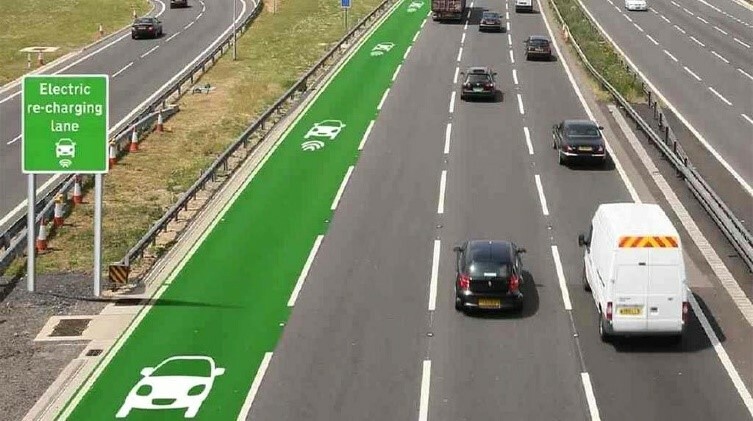 If there is one thing I would hope this blog instigates, it is a serious study into electrifying EU roads. So electrified roads and fast chargers are both good options and I expect they could complement each other. Also nice: you could add both capabilities as after-market functionality to an electric truck that's already sold. First let’s get one thing out of the way: hydrogen is not a competitor for the electric drivetrain. Basically a hydrogen truck is an electric truck to which we have to added two components. First we add hydrogen tanks that allow us to carry energy in the form of hydrogen. Finally we add fuel cells that transform the hydrogen into electricity for the electric motor or the battery. Hydrogen is relatively light (the tanks weighs more than the hydrogen itself) so you can take a lot of energy and give a heavy truck a range that is comparable with a diesel truck. Hydrogen can be tanked almost as fast as diesel (faster than charging a battery). Hydrogen can be produced using sustainable electricity that is available at moments it is not needed and would otherwise be thrown away. Currently more than 90% of hydrogen is made from fossil fuels  and does not lead to CO2 reduction. The reason is that electrolysis is still very expensive and not very efficient (iii). You have to compress and distribute the hydrogen which costs energy and according to the IEA report costs a lot of money, even though the infrastructure seems depreciated in more than 60 years (against 6 years for the electric overhead wires) (iv). The hydrogen the truck carries is compressed to 700x normal air pressure! For comparison your tire is just 3x normal air pressure. These formidable tanks will cost about USD 50.000 now and USD 25.000 in the long run (v). Fuel cells are falling rapidly in price and could cost between USD 13.000 and USD 52.000 per truck in 2050. But for now they cost a whopping USD 286.000 per truck (vi). You lose 40% or more when converting the hydrogen to electricity in the vehicle. So a fuel cell is clearly more efficient than a internal combustion engine but you still lose a lot of energy. What could be the price in 2025 so we can add hydrogen to our estimate? Fuel cells would still cost USD 150,000 (vii) and hydrogen tanks USD 40,000 (viii). This increases the price of the truck from USD 120,000 to USD 310,000. That’s USD 0.58/km (ix). Ouch. Maintenance costs was probably mixed up and will be USD 0.15/km (x). Hydrogen USD 0.07/kWh and USD 0.14/km. This would have been USD 0.32 if hydrogen from renewables was used. So in 2025 there is not yet CO2 reduction from hydrogen trucks (xi). Tax USD 0.065/kWh (just like diesel and clean electricity) gives USD 0.13/km. Now this might look kind of bad for the hydrogen truck (especially since it is still using “dirty” hydrogen) but remember: prices of both the truck and clean hydrogen will come down. I also think that you could scale down the number of fuel cells for the time being and combine them with the battery electric vehicle to get a great range at an interesting price point. For a range of 600-800 km such a combination will probably be your cheapest option. In the long run our move to renewable electricity will require some form of storage. That could be hydrogen or some other fuel made with hydrogen. A broader term is P2G for power to gas denoting a gas made with electricity. Germany is especially strong in researching this field. You could even turn hydrogen into a liquid by adding some carbon. This way you can e.g. create formic acid or ammonia. This is even easier to transport than hydrogen and could in the future be used in fuel cells to produce electricity. Professor Ad van Wijk from the Delft University of Technology sees great potential in the hydrogen economy (and rightfully so I think) and wants to produce it from renewable energy that is produced either remote locations (e.g. solar panels in the Australian desert) or inconvenient times (e.g. solar panels in mid summer). This hydrogen could potentially become very cheap. The fact that hydrogen trucks won’t be the cheapest option in 2025 should not deter us from this path. To summarize: in my opinion hydrogen is a great and potentially clean range extender that nicely complements the battery electric long-haul truck and I see a great future for hydrogen and other solar fuels. The heavy-duty battery electric long-haul truck should have been included as a scenario in the IEA report “The Future of Trucks” and this series of blogs could be used as an addendum that does just that. 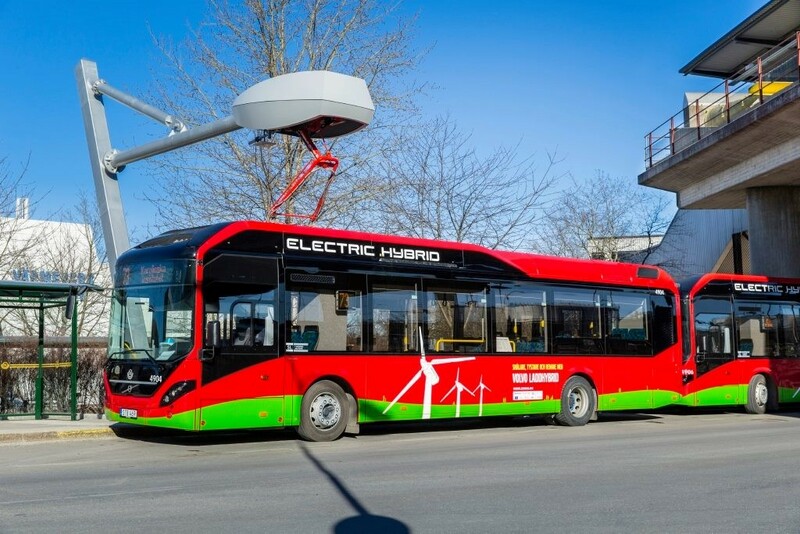 The first chapter described how only the electric drivetrain can provide a real solution because they can be propelled using abundantly available renewable energy from solar and wind. All internal combustion engines rely on either fossil fuel (bad) or biofuels (worse) and acknowledging that makes clear we must focus on the electric drivetrain. An expressive number was that a heavy truck needs to “eat” as much as 375 people. The second chapter showed how the lower purchase price, maintenance cost and the three times lower energy use gives the electric motor a huge economic advantage. The third chapter focused on battery prices and how the price-performance has improved by a factor twenty in the last twenty years. This is basically the disruptive innovation that changes everything. The IEA acknowledges this but still disqualifies the battery electric vehicle. After this is remedied and the latest battery predictions are included a heavy truck with a 400 km range shows an appreciably lower price per km in 2025 than a diesel truck. 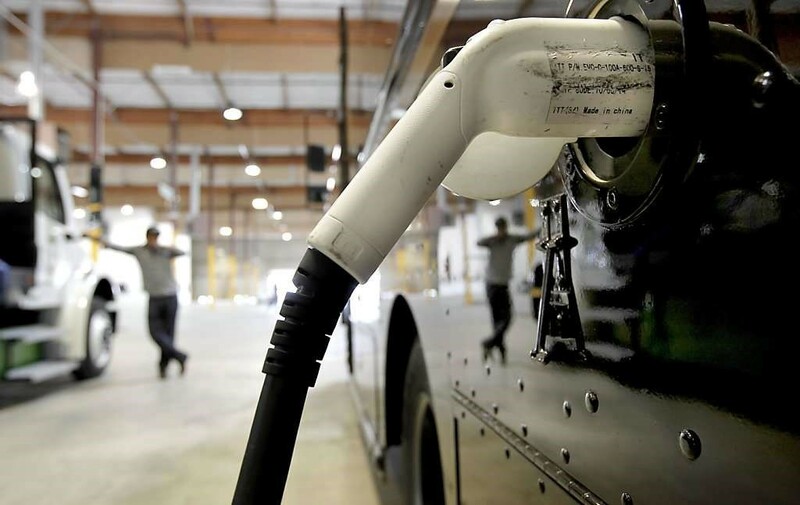 This fourth and last chapter looked at charging options for the electric truck, including hydrogen. The IEA assumptions that electrified roadways must be depreciated in six years and will still be used by diesel trucks are challenged. Straightforward calculations show that both heavy duty fast chargers and electrified roadways have a very low cost per kWh and km. If you have made it this far: thank you! I hope you’ve learned something from this set of blogs. If you have learned that I have made a mistake I implore you to tell it in the comments or send me a mail at a.e.hoekstra at tue.nl. [i] A variety of sites pegs the margin on gasoline (before tax) at around 14% resulting in a price per liter of around USD 0.22 at current average European diesel prices. The IEA tells us a truck uses about 0.4 liter per km bringing us to a little above USD 0.08. What’s more important: the IEA gives us a total price/km for diesel in Europe of USD 0.53 in 2015 and USD 0.57 so for 2025 we should get to about USD 0.54. So far we calculated with USD 0.45 so we subtracted USD 0.09 that we will now add again. [ii] My reverse engineering calculation come out at a range of 5.7 to 6.2 years. [iii] Electrolysis is currently only 60-80% inefficient although (although 90% has been reached in the laboratory). [iv] The IEA estimates USD 0.05-0.66 per km now and USD 0.04-0.19 in 2050. But based on the information for refueling stations mentioned in the text this infrastructure must have been depreciated in more than 60 years. So either other information was used for the calculations than is in the report or the infrastructure is much more expensive than the graphs make us believe. [v] Not as much as batteries but still -60/kWh in 2015 and -30/kWh in 2050. So for a 700 km range that’s USD 50,000-100,000 per truck extra now and USD 15,000-45,000 in 2017. [vi] Currently fuel cells would make a truck with a 260kW motor at least 6.000 more expensive according to the IEA report. In 2050 it could become between USD 13,000 to USD 52,000 (there seem to be two camps of experts attributing to the IEA report that cannot agree on this). [vii] The IEA estimates the price for a 260kW truck was 6.000 in 2015 and will be .500 in 2050 (the average of the .000 low estimate and .000 high estimate). A price reduction of 6% per year will produce a learning curve hitting both numbers. The result in 2020 would be fuel cells costing ~0.000. [viii] A starting point of USD 63,000 in 2015 and end point of USD 17,000 in 2050 (from average to lowest estimate so a bit positive) gives 3.7% a year or USD 43,000 in 2025. We’ll round it down to USD 40,000. [ix] A depreciation of 62% over five years like everywhere else yields USD 192,000. Divided by 5 years time 100,000 km that yields USD 0.38. [x] A strange incongruence that I cannot explain is that maintenance cost would rise from USD 0.10 now to USD 0.17 in 2050. Since all maintenance cost in 2015 are USD 0.17 I’m going to go out on a limb and assume that they were switched and that FCEV maintenance will decrease with 1.5% per year to USD 0.15 in 2025. [xi] The IEA report uses USD 0.44/km in 2015 and this equates to USD 0.22/kWh. At the same time it states that “dirty” hydrogen from fossil fuel that is currently used in >90% of cases is USD 0.07/kWh. In 2050 it takes USD 0.07/kwh although it notices in the text that it will probably will never be cheaper than USD 0.10/kWh (page 103). What to do with so many mixed signals? If I had chosen to keep it consequent and base myself on the 2015 and 2050 graphs and interpolate using a learning curve with a fixed percentage per year the price per km would yield USD 0.32. Instead I’ve decided to use mostly dirty hydrogen, thus helping the innovation along. But it is strange because the whole point was CO2 reduction and that is not realized this way. [xii] For infrastructure the low price would drop to USD 0.04 and the high price to USD 0.44 per km using the same learning curve approach.